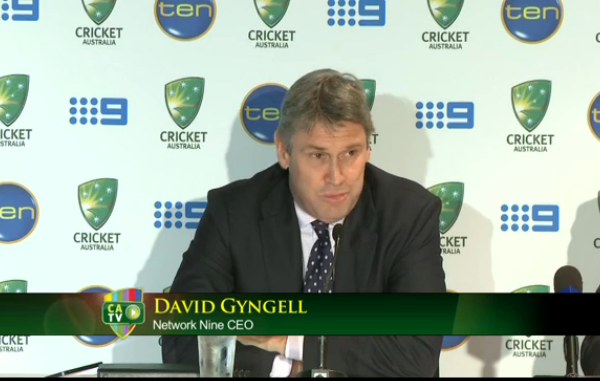 With just days to go until the Ashes series gets underway in Brisbane, the England and Wales Cricket Board (ECB) announced last week a new broadcast deal with Nine Entertainment Co (Nine)�for Australia�s next two tours of England. Nine broadcast this year’s Ashes test series from England LIVE and in HD on its digital-only GEM channel. The broadcasts were a ratings success for Nine and marked a crystallization of the new strategy by free-to-air networks in Australia (especially Seven which at times has had three different sports across all its channels simultaneously) to use their digital channels to broadcast top flight sport LIVE (if broadcasting the event on the primary channel would clash with regular or key sports programming). The new deal is noteworthy as Nine has secured exclusive broadcast rights in Australia. 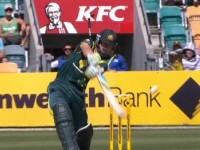 This year’s series was broadcast in the Australian market by Nine and News Corp Australia’s Fox Sports. The exclusive rights deal covers the tests, ODIs and T20 matches involving Australia in 2015 and 2019. However “England�s other home international series are not included in the package, meaning the ECB can sell these rights to other Australian�broadcasters.”�One would expect these right to fall into the hands of Fox Sports at a reduced rate (compared to the previous deal with Fox), given a new deal with Fox would not include rights to broadcast the Ashes. This year will go down as a year when there was a marked shift in the Australian cricket broadcast market. While Nine retained broadcast rights to international matches played in Australia, Fox Sports on the other hand lost its domestic cricket rights. The Big Bash League is now making its free-to-air�TV (FTA TV)�debut on TEN and the Ryobi Cup returned to FTA TV on Nine’s GEM. It seems that Fox Sports’ position as a cricket broadcaster is now where it was in the early to mid-2000s, when it covered Australia’s overseas matches and other international series (although Fox Sports will have coverage of the 2015 Cricket World Cup (to be played in Australia and New Zealand)). The lack of domestic cricket product for Australia’s Sports Leader has meant its key local summer sports product is now soccer. Nine’s coverage of the Commonwealth Bank Ashes Test Series starts�on 21 November, with coverage of the First Test from Brisbane.